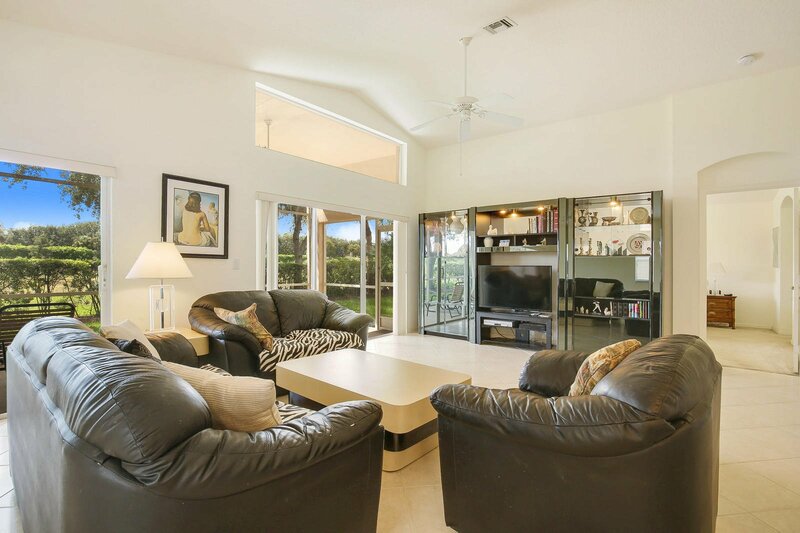 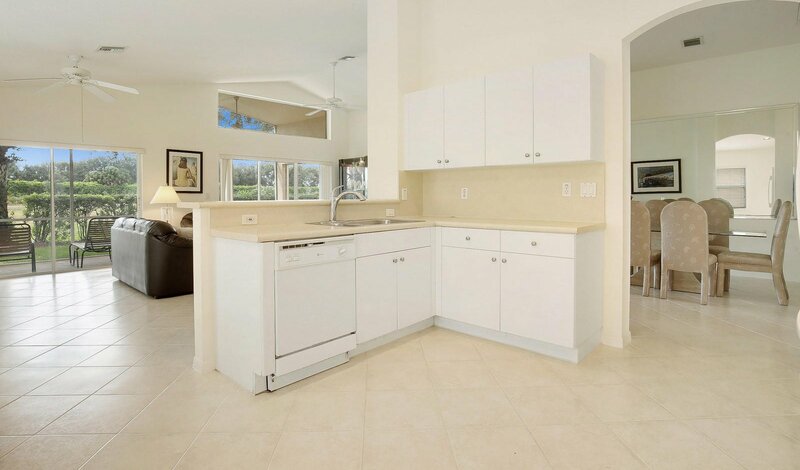 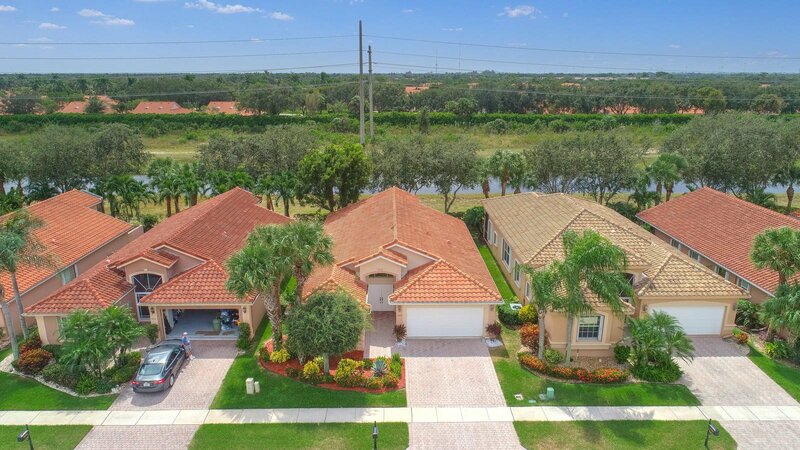 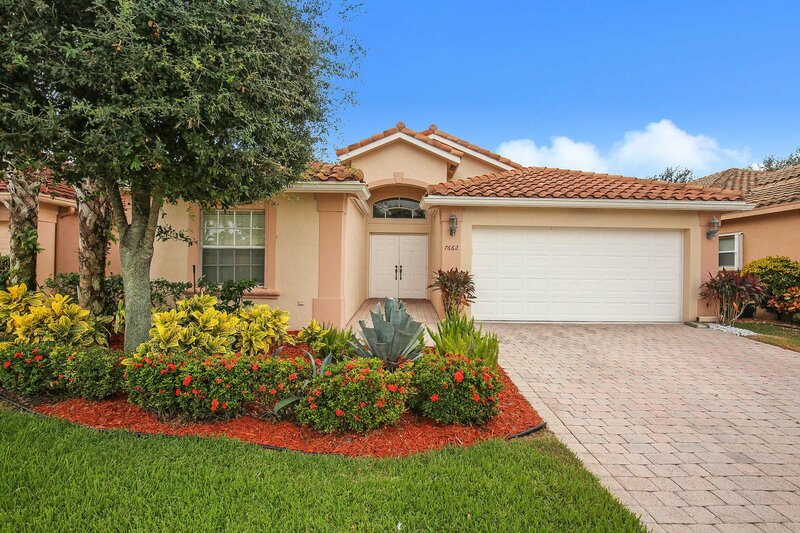 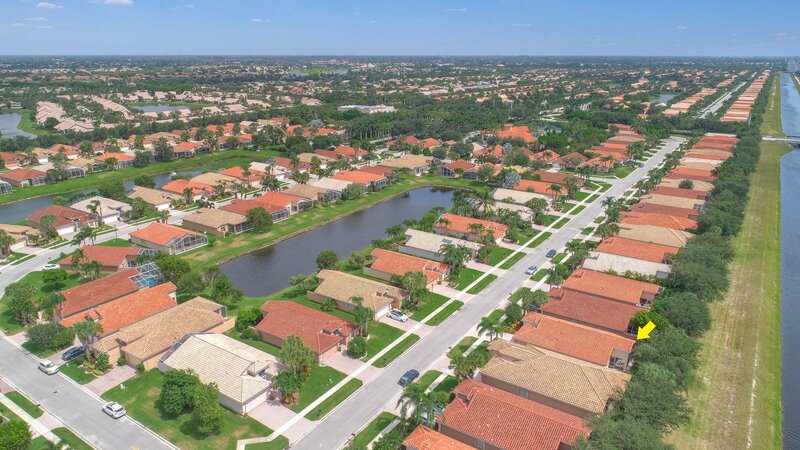 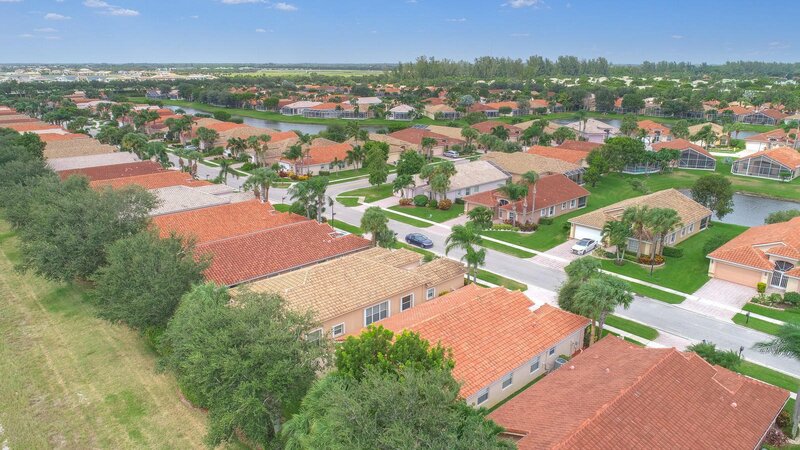 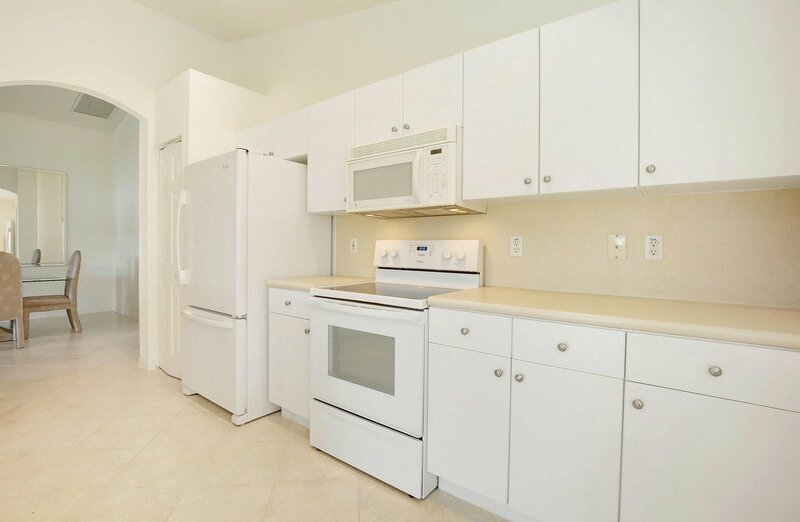 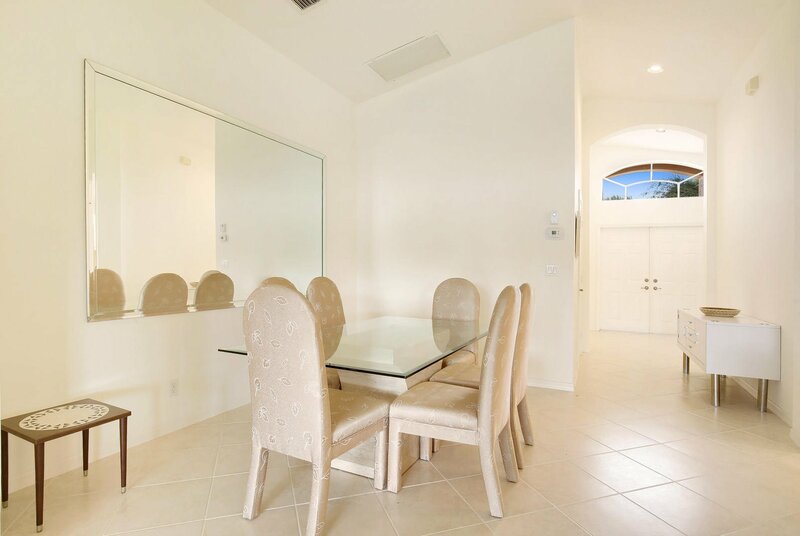 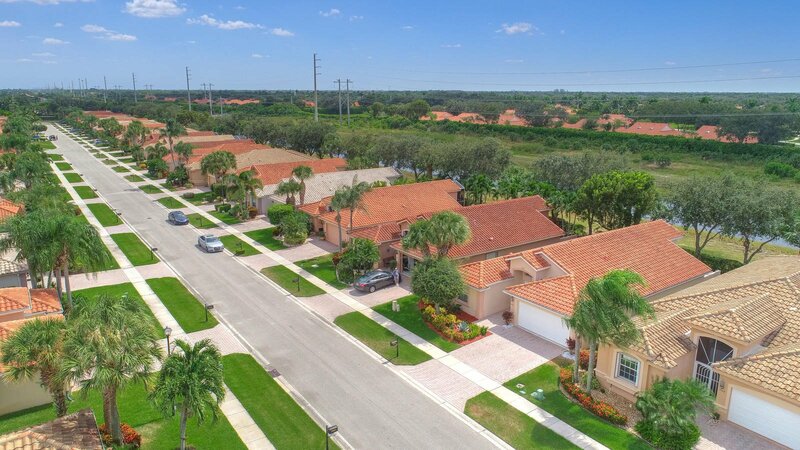 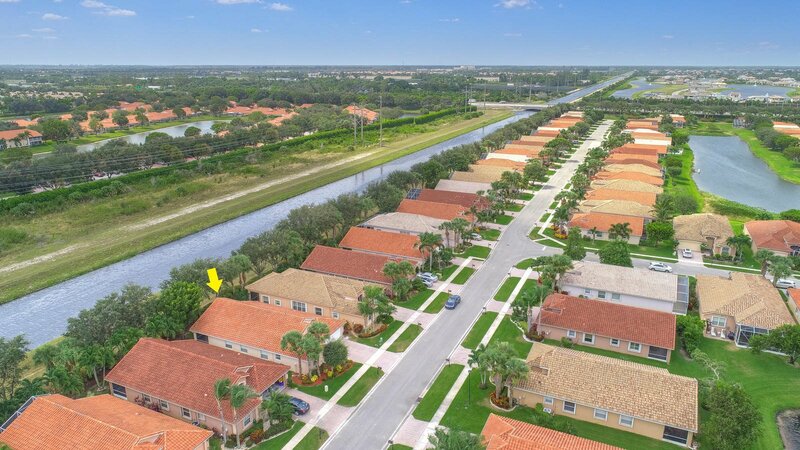 Welcome to this wonderful 3 bedroom, 2 bathroom, 2 car garage home situated in an intimate, secluded, and exclusive 55+ neighborhood known as Ponte Vecchio West. 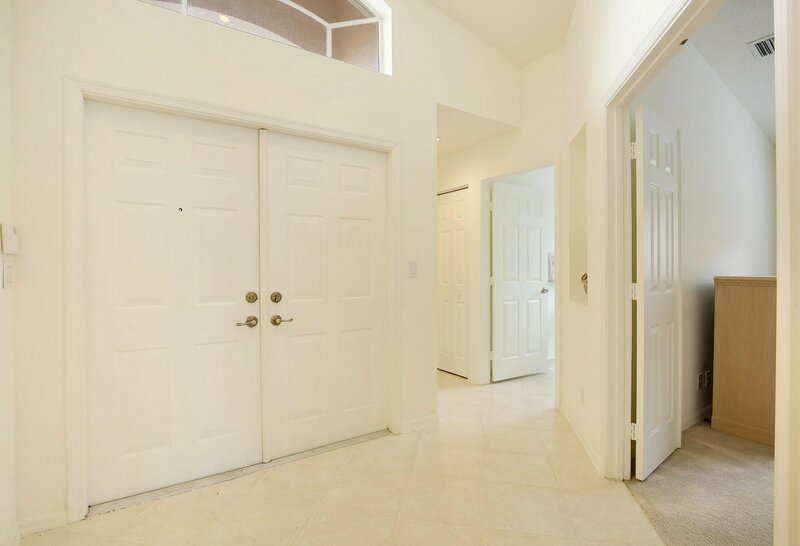 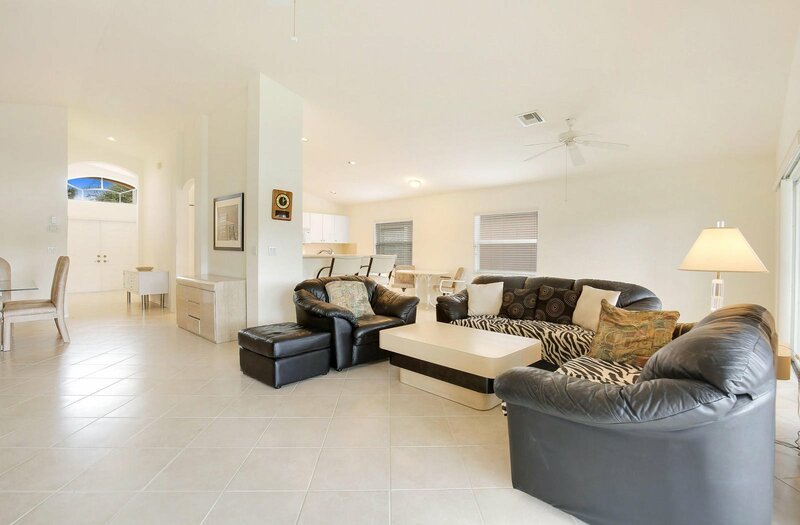 This Este model home has many elegant features, including: a double door front entry, foyer, arched room entries, open floorplan with tile that is laid diagonally throughout the main living areas, vaulted ceilings, open kitchen that overlooks the living room, dining area, and screened-in patio. 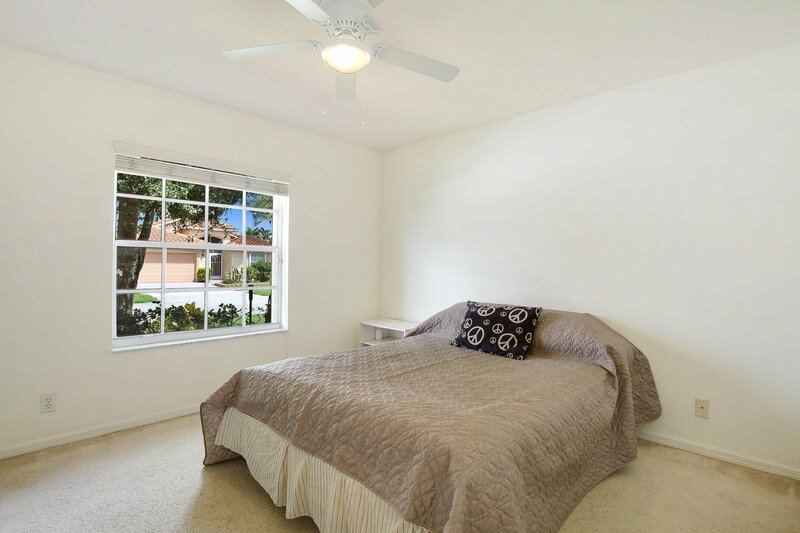 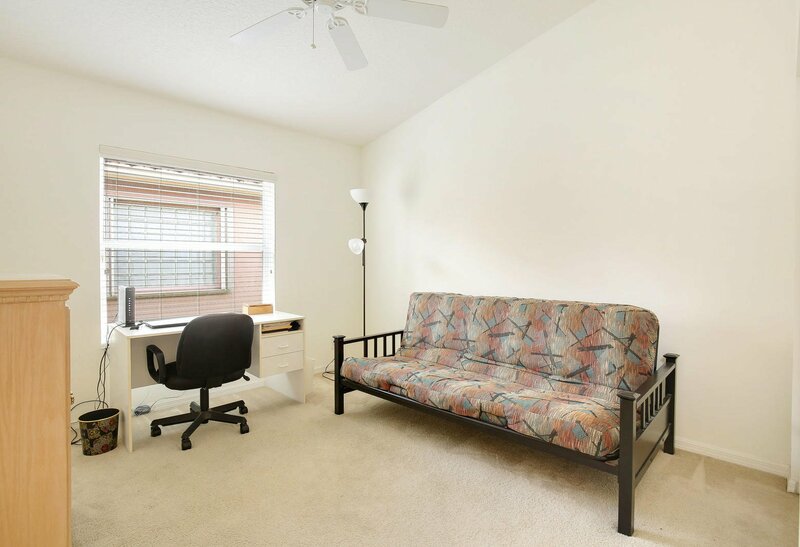 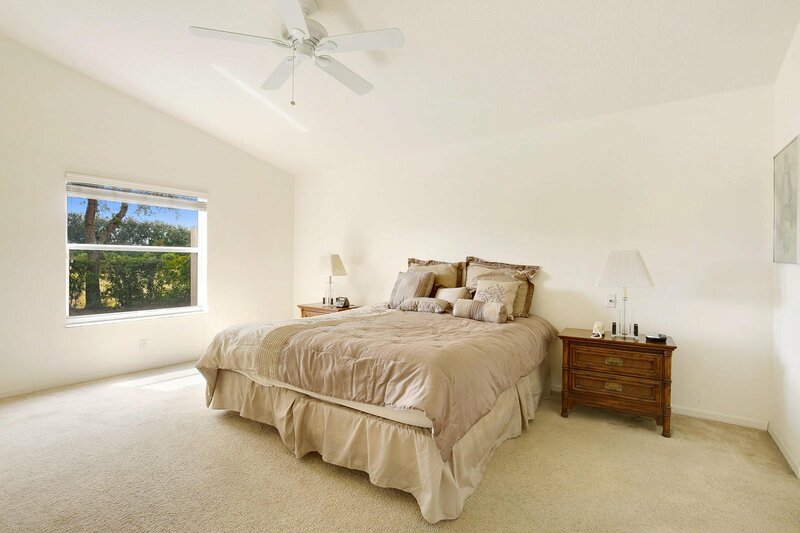 The master suite includes a great sized bedroom with his and her closets, one being a walk-in. 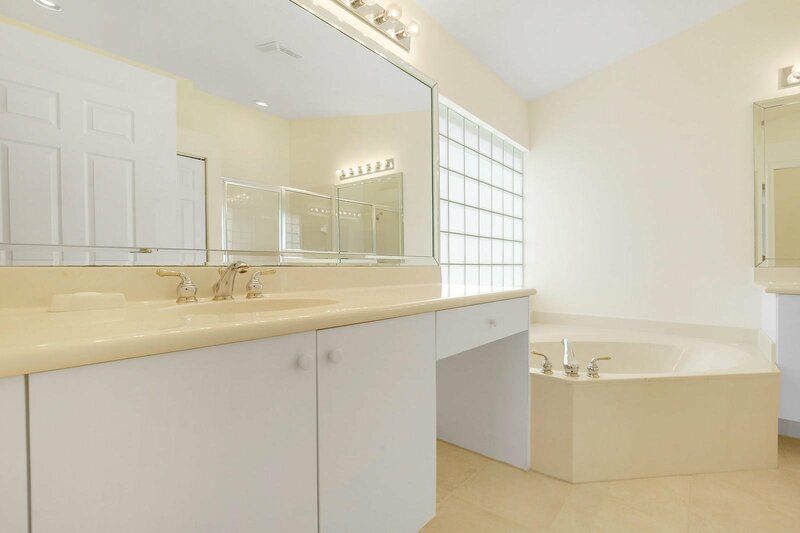 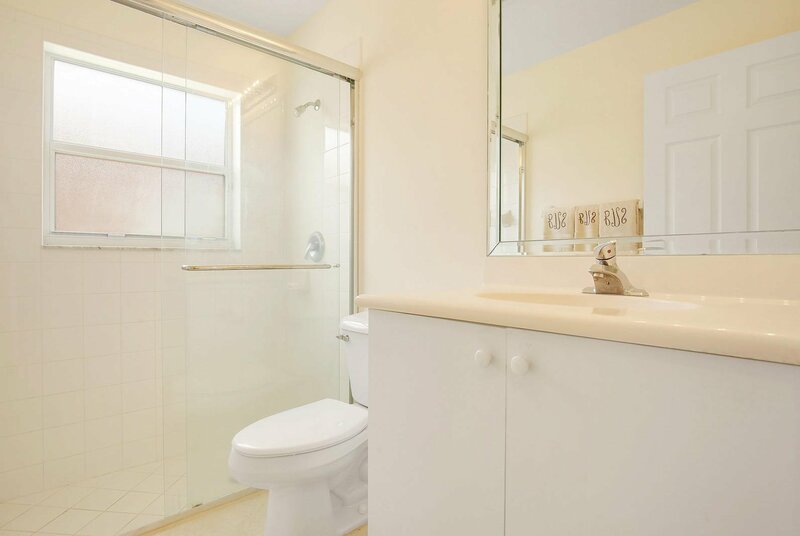 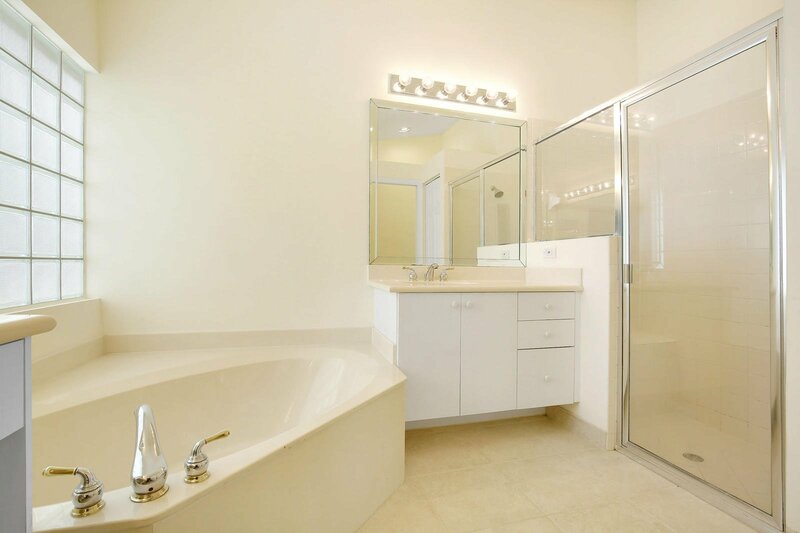 The master bathroom has his and her sinks, makeup area, roman tub, walk-in separate shower with glass door, and linen closet. 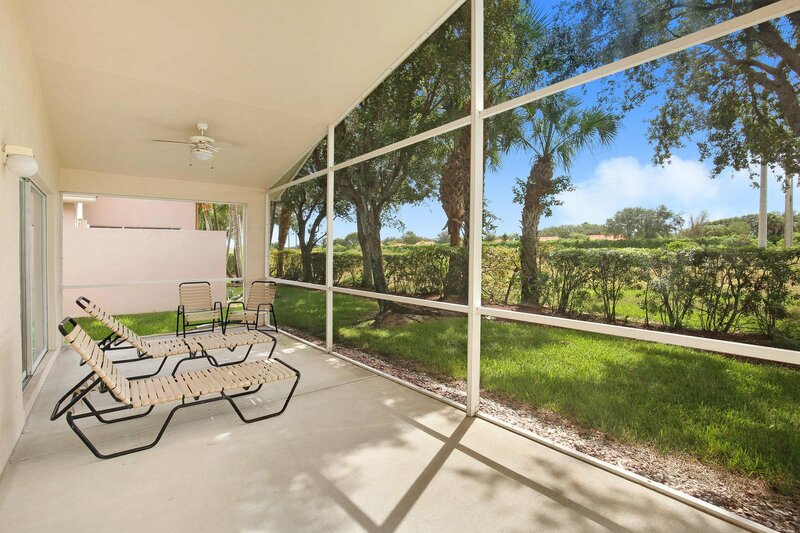 The exterior of this property is very private, having no rear neighbors, and has a screened-in patio that overlooks the garden and canal waterway. 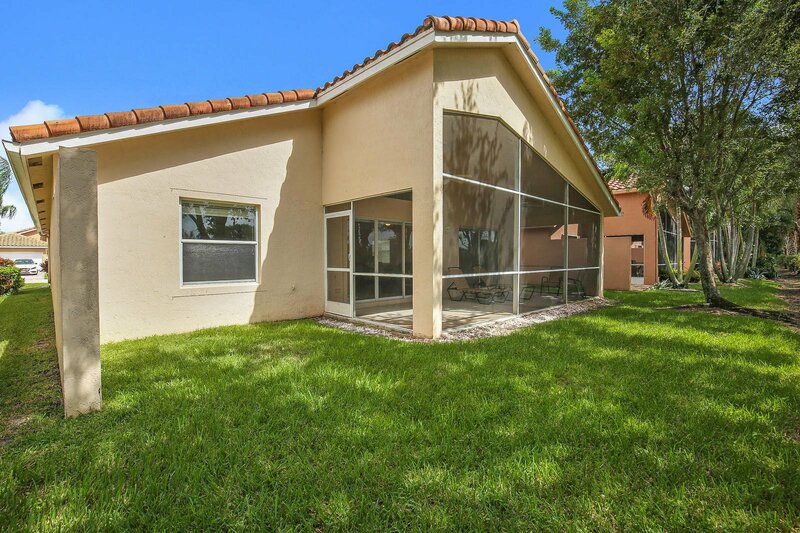 In addition, the property has a pavered driveway, professional and beautiful landscaping and gutters. 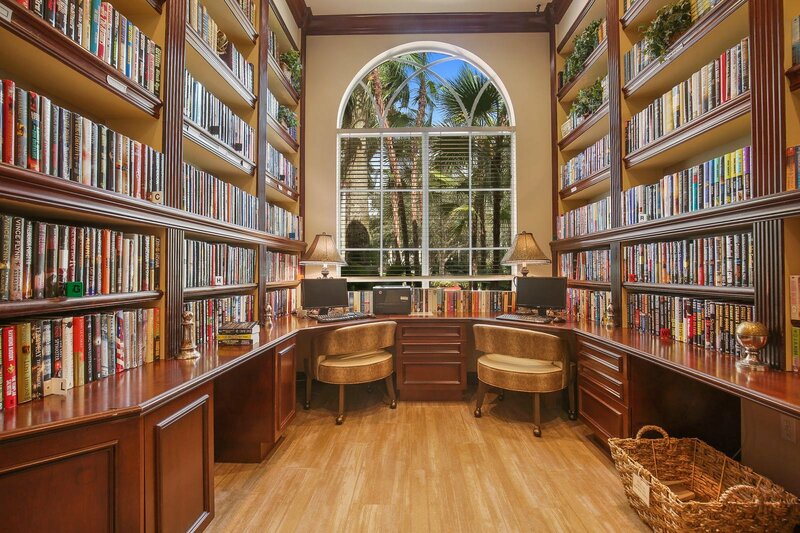 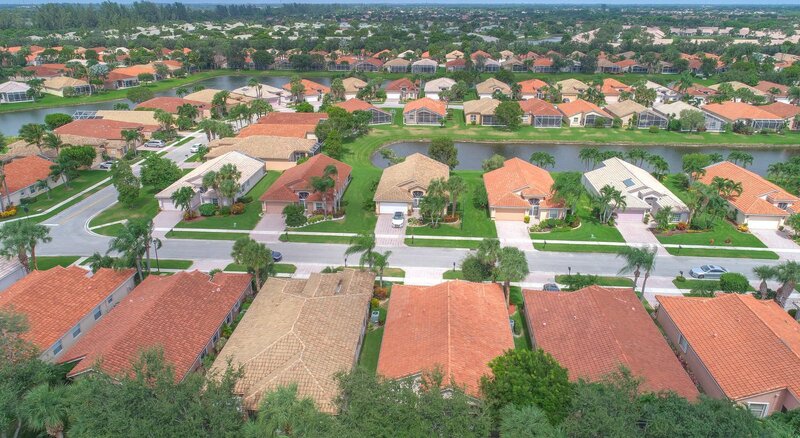 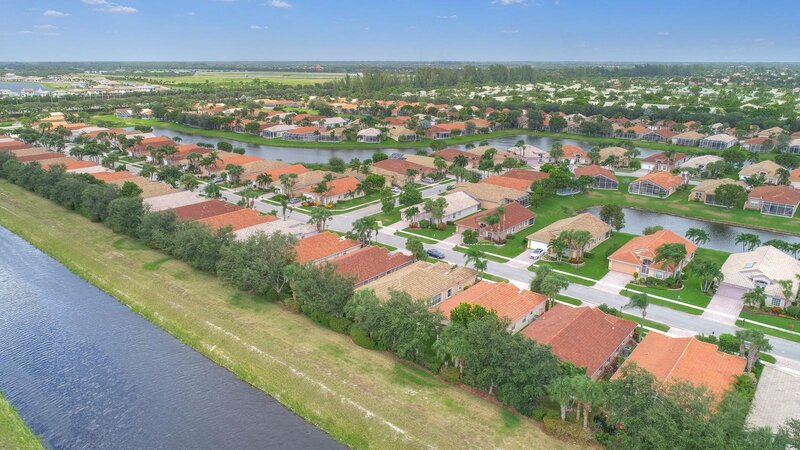 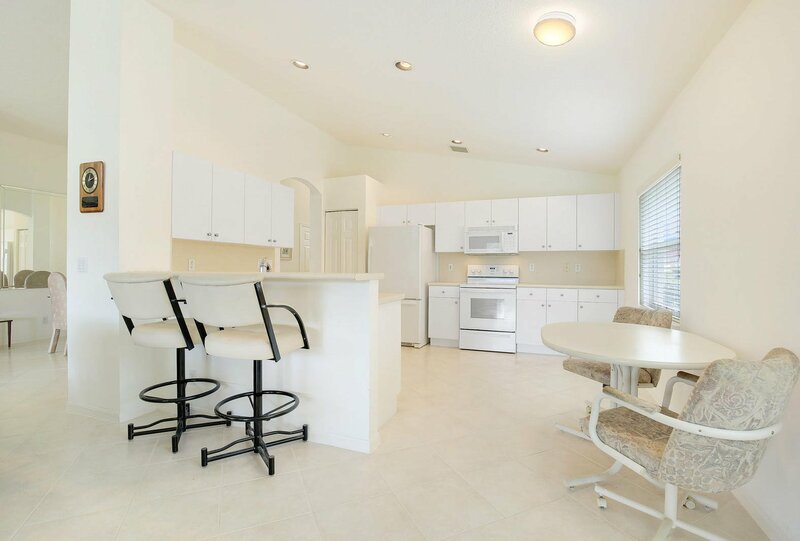 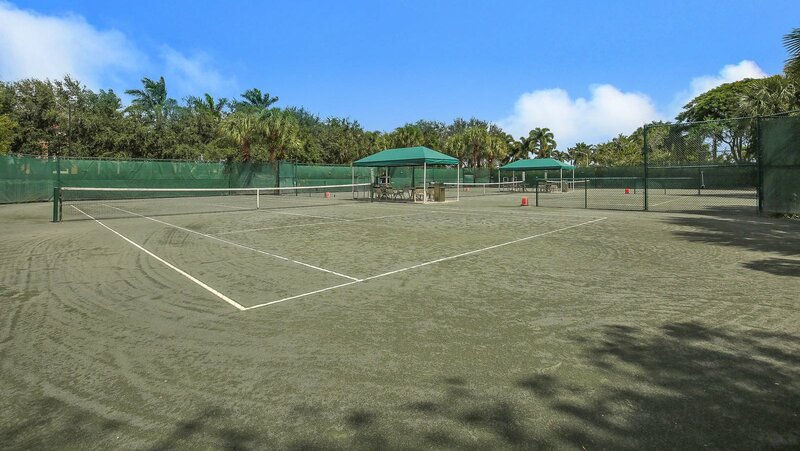 This immaculate home's community amenities are extensive and amazing! 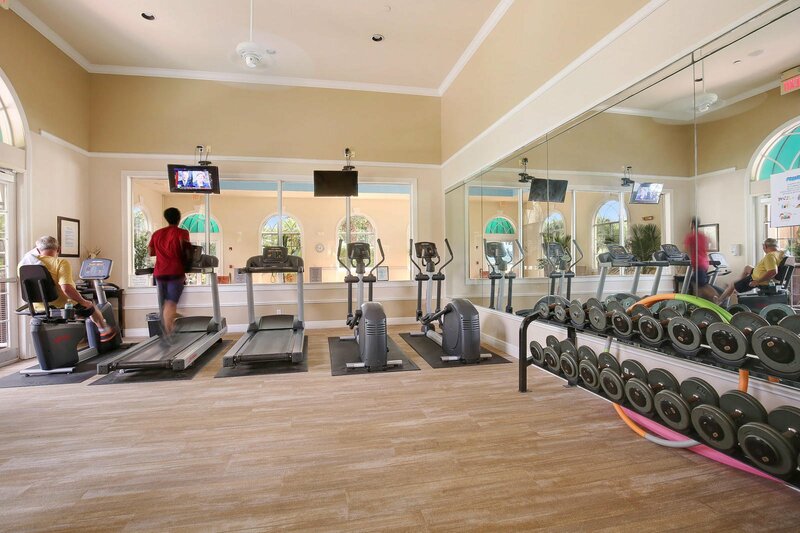 They include: 24 hour gated entrance, 13,000 sqft clubhouse which is elegantly decorated, entertainment and social activities year-round, resort style outdoor pool with spa, large indoor swimming pool & hot-tub area, state of the art fitness center, tennis facility with 6 Har-Tru courts, theatre ballroom with stage, billiards room, lounges and game rooms, arts and craft center, library/computer center and So Much More! 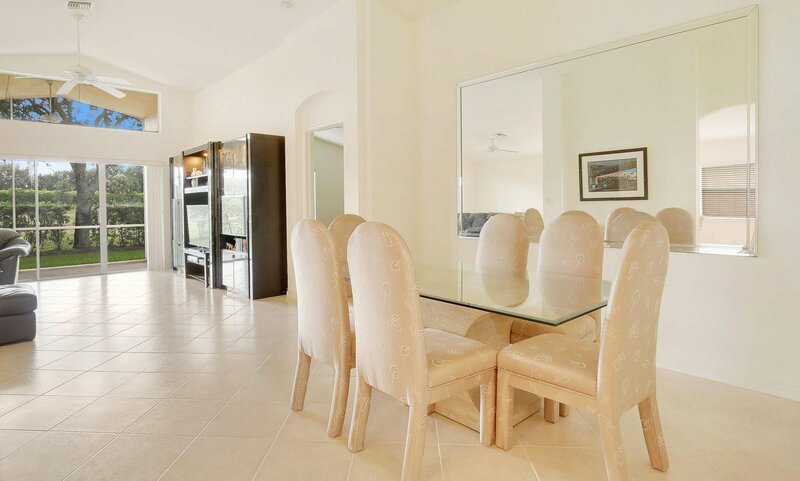 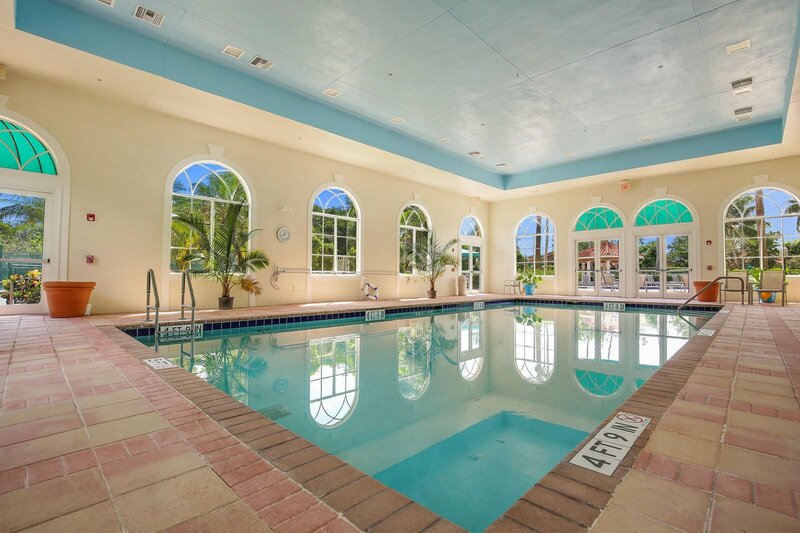 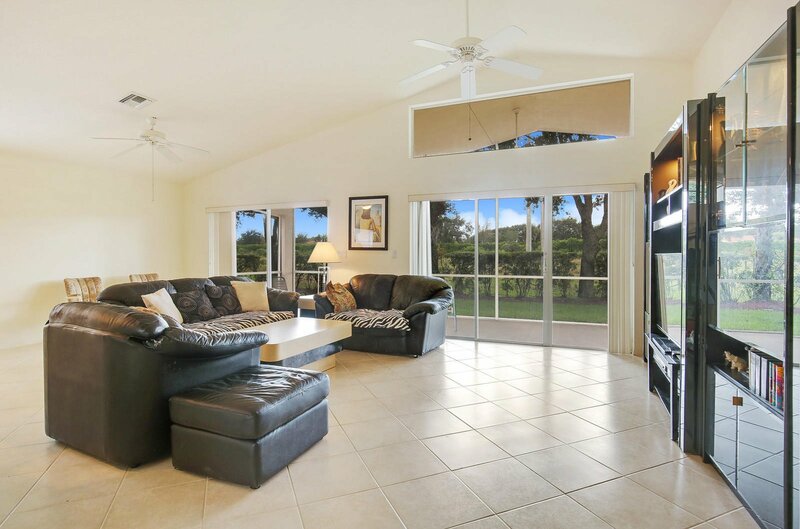 Live the Florida Resort Lifestyle at an Incredible Price!